Idea is offering 100 Mins Free Local and STD calls in order to compensate Service Drop on 2nd July 2016. The Offer is valid till july 4th 2016. 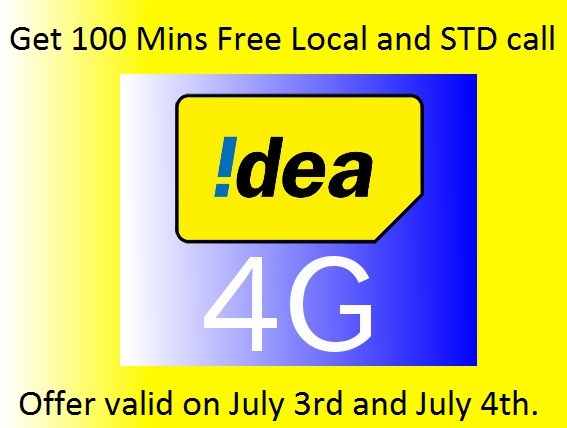 To Activate the offer on your Idea mobile Dial *167*1#. Once activated you can start calling anywhere in India to any network (landline or Mobile) for 100 Mins.